It was evident that her weight wouldn’t help her merge with her school friends. During the summer vacation between the 9th and 10th grade, she started to skip meals, count calories, and live on the scale. Her attitude was the worst: she never listened, stopped having fun, and didn’t want to spend time with her family. She wanted to be like the models in magazines. She wanted to lose weight so that they would stop calling her ‘chubby Chloe’ in school. 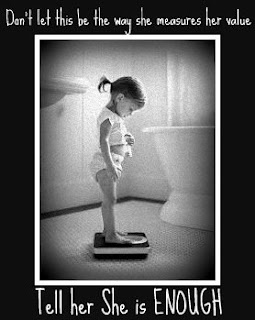 She knew that she only needed to lose five to ten kilos and she would be perfect. She exercised and reduced her food intake to the minimum but the results weren’t evident. Her weight loss wasn’t fast enough. She only had two months to get in shape so she obsessed and started to lock herself in the bathroom after every meal just to get rid of it. Her throat was sore but she didn’t care. All that mattered was her image, her career as a teenage model, and how well she fits in school. She lost weight but couldn’t see it; she only sees “chubby Chloe” looking back at her.